Hello World! | Darío Kondratiuk Hello World! What? A new blog? What is it, 2003? Don’t check your calendar, we are in 2018, and I am creating a new blog. Let me tell you why. I decided to become an active member on Stack Overflow back in May, not even a year ago. After a month, and 34 answers, I was shocked finding myself on the top 10% in ASP.NET and C# rank. I was also on the top 20% in SQL Server and jQuery, ok I shouldn’t have mentioned jQuery, where I only answered 10 questions in each topic. Why was that? Was I a .NET guru and the community was waiting for my knowledge? I don’t think so. I think we just don’t give back (enough). I don’t think it’s because we are a selfish community. What are we, lawyers? I think we are quite the opposite. Yes I do. I have asked many dumb questions in my life, and I’m still asking them. The problem is that most of us, myself included, don’t have the habit, and we don’t make the habit, of giving back. Think about the last problem you had to solve. You went to that weird place called the internet trying to find a solution to your problem. I bet you probably ended up reading a question (or many questions!) at Stack Overflow or a blog written by some developer. And guess what? That answer that saved your day, that post that saved you another 16 hours in that impossible puzzle (or that stupid mistake) was written by people like you and me, but who took the time to sit down and give back. I know what you might be thinking now, and it’s true. It’s not only about being altruistic and benevolent with the community. Public exposure helps you to build a public reputation and to step up in your career. But, besides that, we need your knowledge. We need your questions. We need your answers. We need your posts on dev.to. We need your blog. 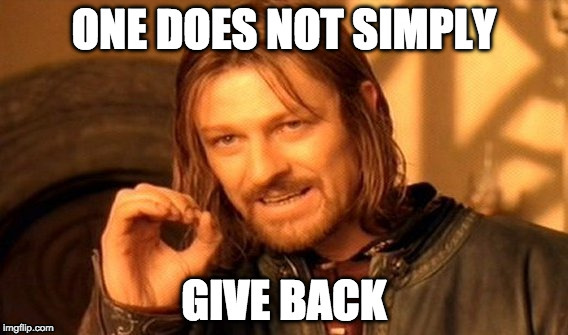 We need you to give back. Internet is remotes’ office. I think we remotes need to embrace the internet and make it our place to share ideas, express our opinions and make our community grow even more. A friend of mine told me a few months ago: “There are times when you have to be intentional”. If you’re a remote developer your exposure in the web must be intentional. You have to think what you write, what you post, what you comment, because that’s the first thing the community will read from you. If you don’t have friends or colleagues that help you step up in your career find them! NOW! I wouldn’t be writing this blog if it wasn’t for Ezequiel Gioia (I hope this public exposure makes him go back to his blog and update it). He’s always one step ahead. He shared with me the Soft Skills audio book a few months ago which triggered the idea of starting this blog and many ideas to come. If you don’t notice that I write like a caveman (well cavemen didn’t write, but you get the point) is because Lucas, Mauro and Facundo helped me edit many posts that are on the way. They are always reviewing my ideas and thoughts. I don’t want to forget Gervasio. It’s great to find people like him who is passionate about the community and always open to give you a hand. If I’m writing this blog is also because of him. John Sommez in his book Soft Skills says that, for a blog to be successful, you have to cover one specific niche in one specific platform. That’s why the next post will be about programming bots in python. The next one will be about managing SQL Projects and after that there will be many posts about a project that I’m migrating from Node JS to C#. So welcome to my place and, very important, if you get to this blog and the latest post you see is from 2 months ago, please send me an email telling me not to be lazy. The conversation continues on Twitter follow me up @hardkoded!